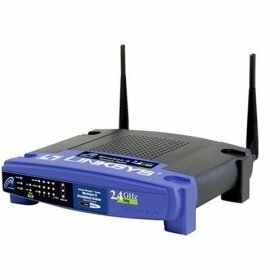 Tomato is a replacement firmware for Linksys' WRT54GL and it rocks! I’ve installed it on my home router and on the new router of my boss. Both had other routers ( a Belkin and a US Robotics) and a lot of troubles with the stupid things. After switching to Tomato we’ve had no troubles at all! Upgrading was a breeze. At work we still have a D-link but the conncetion keeps dropping. If I set it to WPA1 OR WPA2: no troubles. But WPA1 AND 2 it can’t handle :( So one of these days I’ve got to pick up a nice blue Linksys and install Tomato on it.